In accordance with the Innovation Law (10.973 / 2004), the scientific and technological institutions may have their own Center for Technological Innovation (NIT) or in association with other institutions to manage their innovation policy. 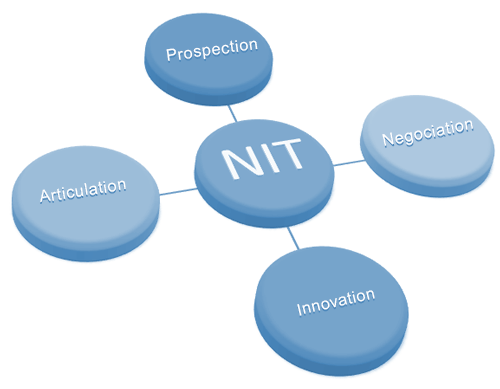 One of the NIT’s responsibilities is to take care of licensing operations and technology transfer. There are institutions that do not have NITs, but have similar structures, such as pro-rectories, coordinating bodies, innovation agencies and technology transfer offices.